In this video bass lesson we’re going to take a look at some blues ideas using the Dorian mode and minor pentatonic scale. 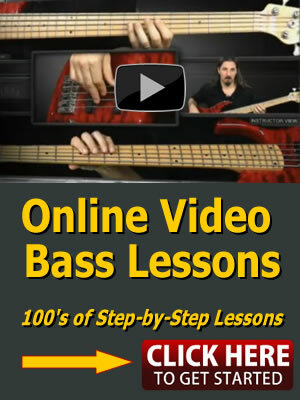 The video below is just the performance of the entire blues bass line covered in this lesson. The Dorian Mode is build from the 2nd degree of the major scale. 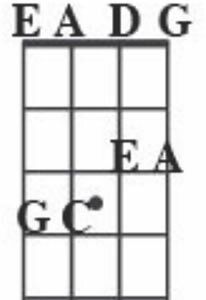 So an A Dorian Mode is build from the 2nd degree of a G Major Scale. The scales and the bass line are played in 1st position. 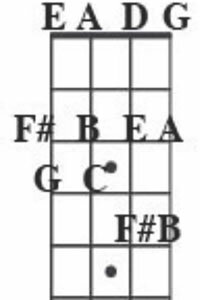 open-notes to the 4th fret range. This uses what I call a “4-Fret Bracket Approach”. The Dorian Mode contains 7 different notes. Pentatonic scales contain 5 different notes. If you take the 2nd and 6th degrees away from the Dorian Mode you get a Minor Pentatonic Scale. Or what I sometimes call a Dorian Pentatonic in this context. Below is a PDF with the tablature for this bass lesson. There is also a “Guitar Pro” file with the tablature as well and an MP3 Blues Jam Track you can download. The zip file below contains 2 Guitar Pro files. One that can be opened with Guitar Pro 6, and one with Guitar Pro 5. Here’s a Blues in A Jam Track you can use to practice with. Be sure and check out the sister bass lesson to this one called “Mixolydian Pentatonic Blues Bass Line Ideas“.